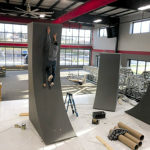 recROC offers obstacle fitness and training classes and clinics (and parkour!) for youth and adults. 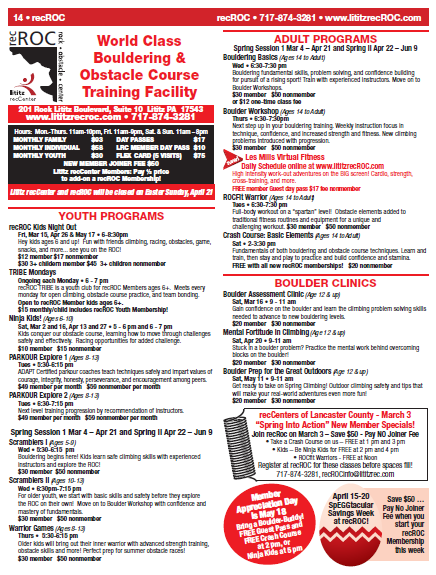 Programs are offered on a seasonal basis unless noted. Interested in finding out what Parkour is all about? Join us for an adult beginner Parkour clinic! You’ll learn the basics of this growing sport as well as experiment with exercises that can help you add strength, agility, and balance to your current exercise routine! Full-body workout on a “spartan” level! Obstacle elements added to traditional fitness routines and equipment for a unique and challenging workout. A program designed to offer a physical outlet for a child’s interest and energy. This is a safe and caring environment to develop character values. ADAPT certified parkour coaches will teach techniques while imparting the values that lay at the heart of parkour training such as courage, integrity, honesty, perseverance, and more. Further progression for those who took part in prior session. Registration by coaches invitation only. Bring out your child’s inner “ninja”! Our experienced will walk your children through age appropriate obstacles on our “ninja-style” course, learn techniques, and have fun! This class is perfect for children age 8 and up! 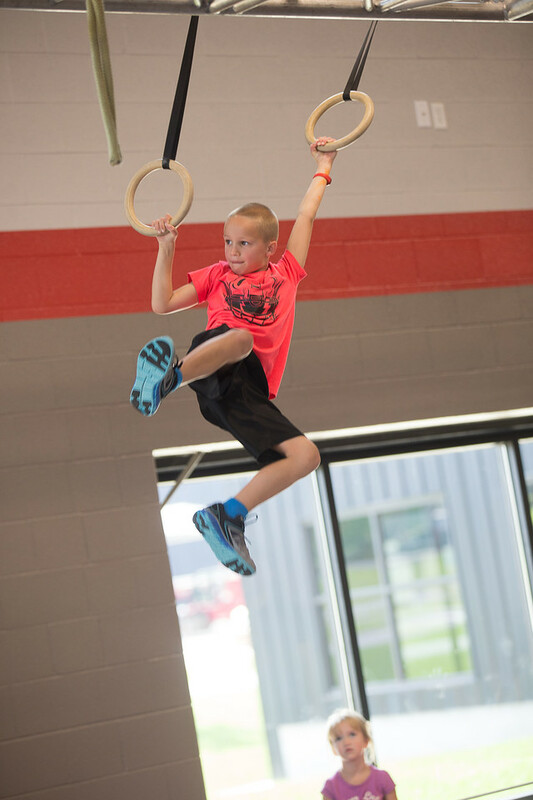 Older kids will bring out their inner warrior with advanced strength training, obstacle skills, and more! Perfect prep for summer obstacle races.